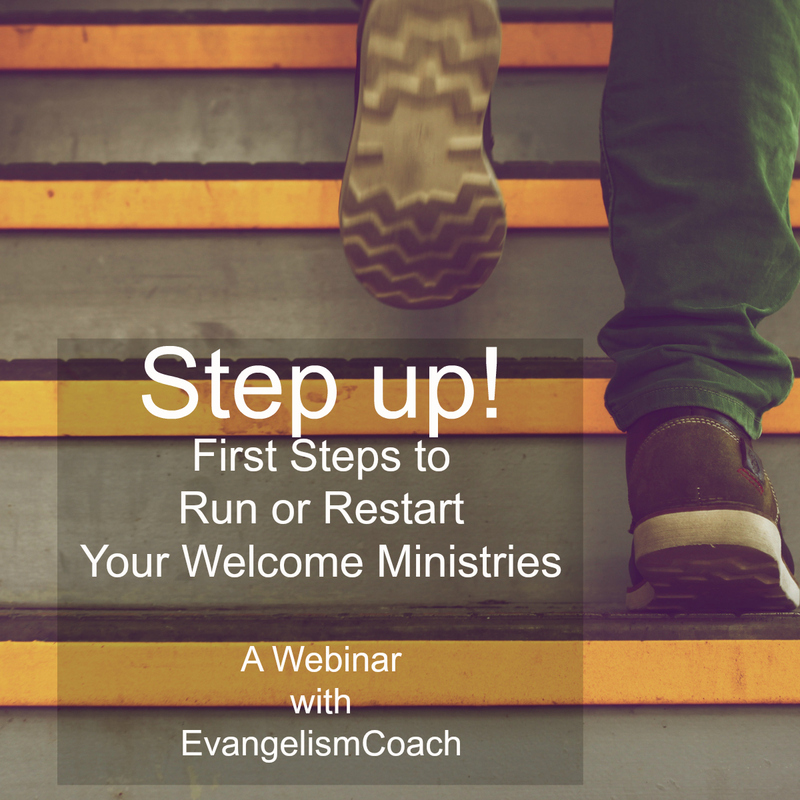 Schedule a live virtual training class with me to equip your hospitality ministry. 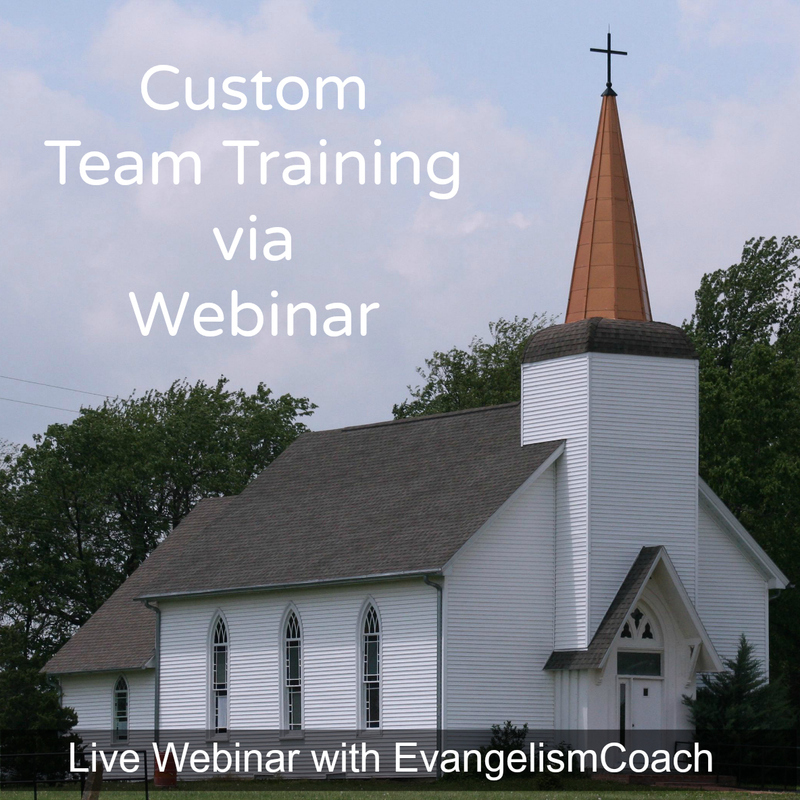 You gather your team in a meeting room, and I provide the training live via the internet. 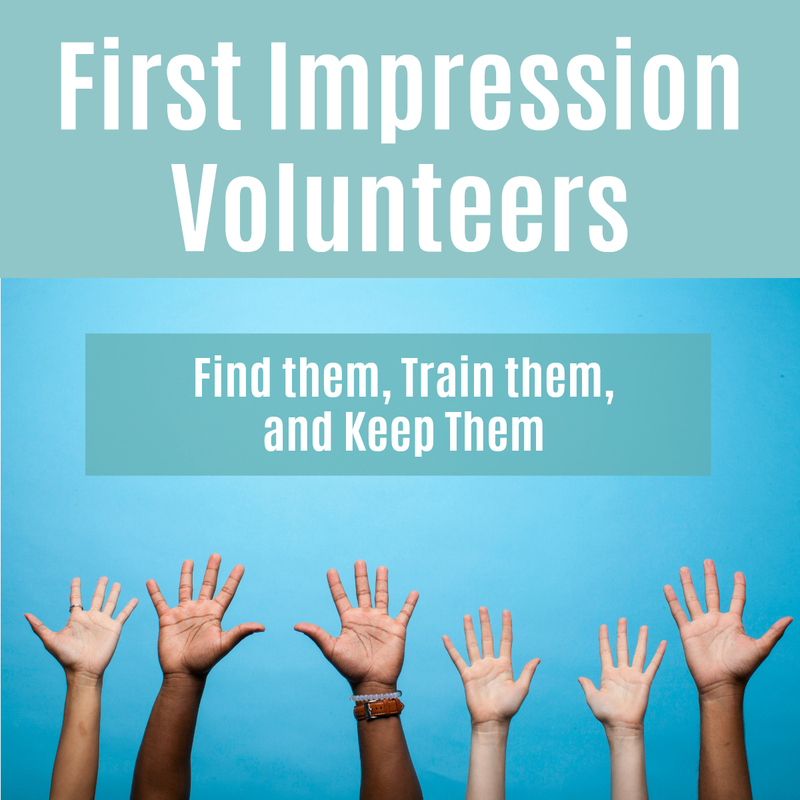 Your church greeters can make a great first impression or an awkward first impression. As we approached the front door of a church we visited, the church greeter raised both her arms into the air to emphazie her joy. She was REALLY happy to be serving. Then, she grabbed my wife’s head and planted a big ol’ kiss on the cheek. That was weird, and completely unexpected. It won’t drive us away, but that greeter was a little over the top. Not sure what to say or how to talk to a complete stranger. Perhaps you’ve recently recruited new greeters. Perhaps you need “the outside voice” to speak to your team. 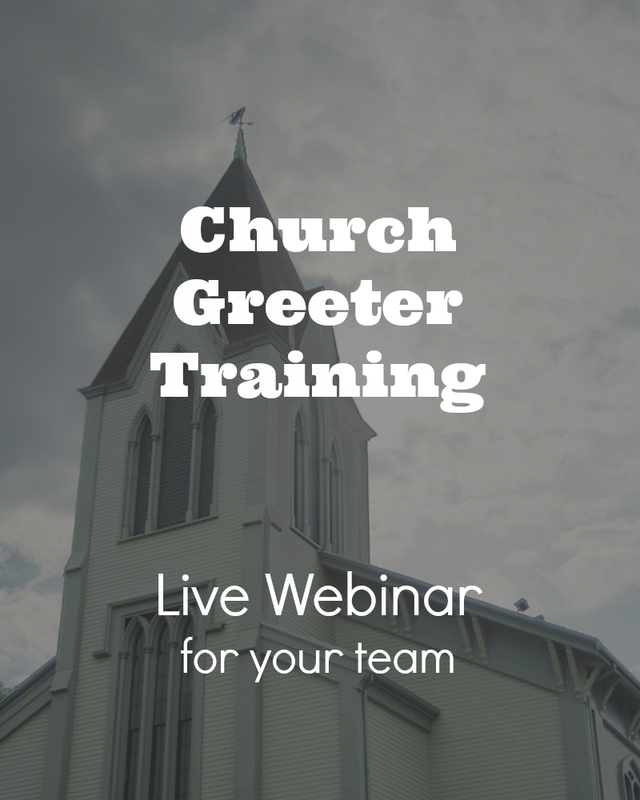 Let me cast a vision with your church greeters and give them some practical skills they can implement the next Sunday. How does a Live Webinar work? Here is how it works once we agree on a date. You have a meeting space equipped with way to stream internet video. You promote it via email using some emails I give you. You’ll need a high speed internet connection to see the webinar. Audio is either by phone or streamed via speaker. Users can call in with questions. You gather people around light refreshments. I present and do Q&A, with conversational breaks about every 15-20 minutes. When I’m done, you continue to do some localized training, and maybe fine tuning. Four emails to help promote your webinar with related topics from my website. MP3 audio when it’s over for your distribution. MP4 video for you to download and save. Related slides with permission to use them in your congregation. Registrants will receive ongoing announcement about free training and conferences. 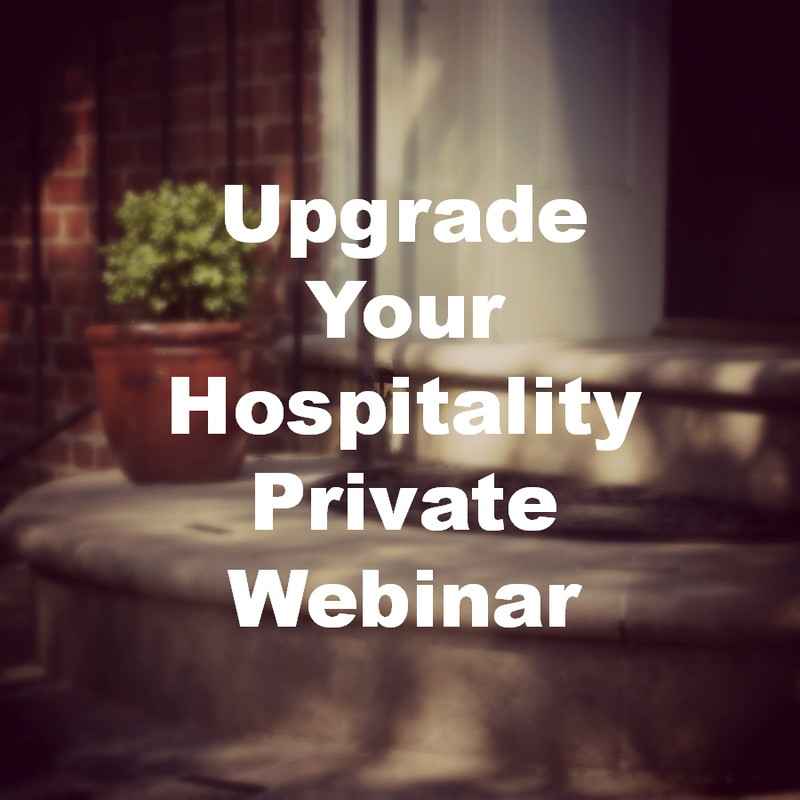 Private webinars are planned for a two hour window. Expect 90 minutes of interactive content, plus Q&A. On behalf of Bethel World Outreach and especially the Global Evangelism Ministry, I want to say thank you and God bless you. The program was inspiring, very rich and practical. Thank you so much for allowing God to move so powerfully through you. I know that change has come, and most members will rise up to evangelize and disciple souls for Kingdom growth and for God’s glory. – P. Noudem. Where: Online Classroom, accessed via a unique link you’ll receive and can share. When: This is for your church team only. We’ll set a date that works for you and me. Plan for 90 minutes to 2 hours. Availability: When it fits on our calendar. 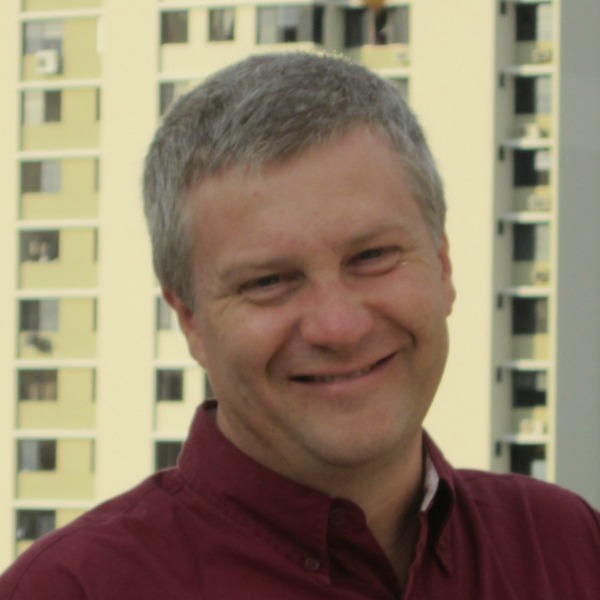 This session for your church has a one time registration fee of $197 USD per church. Q. If I gather people for a webinar for my church, how do I setup the display and sound on my end? the ability to broadcast sound and video imagery. For a Q&A session, you will need to have a microphone setup so that I can hear the question. Some churches have figured out how to rig up a video camera to their computer so that I can see you too. The actual mechanics of that are your responsibility. I have worked with a church’s sound/video person to do some test runs of the sound a day or two before. Q. Do I pay before or after? I ask for payment to be made before the registration process starts to confirm the date on my calendar. Q. What happens if the event is cancelled or you can’t make it? If the event is cancelled or some illness prevents me from participating, you’ll receive a full refund if we can’t reschedule. Q. How is the quality of the sound? The quality of sound is dependent on several factors outside of my control. Generally, sound is not an issue, but failures have occurred. I work via cellphone with your technical person to get service restored, typically within a few minutes.